SuperSellerS has a selection of mannequins - From ecconomical mannequins to high end models. 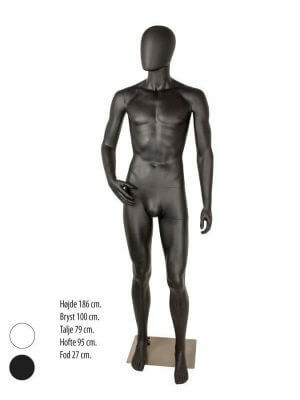 The budget mannequins are available in children, male and female mannequins in different poses, colors and sizes. Our budget mannequins are all headless and with a matt finish. The mannequins are available in male and female modls. They comes with head with facial features and sculptured hair. The standard mannequins have a matt white finish. These mannequins can be found in unisx children, male and female models. They all have a high gloss finish in different colors and can be found with or without heads. Do youy need a mores lively display - Check out our flexible mannequins.